Excellent service, sparkling clean, well equipped, very comfortable and aesthetically pleasing. My wife and I thoroughly enjoyed our two day stay. Location is a bit further out than other places but with parking available it was an easy trade off for us. I was particularly impressed by the BO app which actually came in very useful for us to explore Porto. Loved this apartment, very helpful host and very close to a big supermarket. Just a short walk to the main sights. The agent was extremely helpful and well organized, waiting for is at the time of our arrival. The lady introduced us to the city, provided guides, also explained the apartment and daily cleaning service. We found it very kind and helpful. we were impressed by the service. Also the apartment was very comfortable, cost, modern, new, had all the utilities. It had everything we'd ever need. 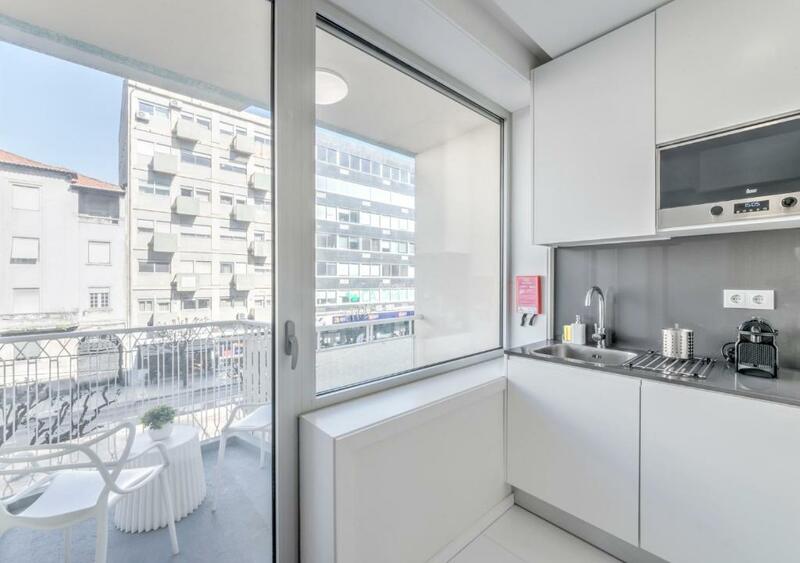 Beautiful kitchen, superb bathroom, a lively terrace and much more. High standard, close to all amenities, comfortable modern apartment. Everything works perfectly, the rooms are incredibly comfortable and the location is perfect. I came for work, but it's walking distance to historic area and is located in a fairly quiet zone. Also, big bonus, i'm a biker and it has a garage for the motorcycle. So... biker friendly. Very clean, helpful and friendly staff. Thank you, Natalia. Lock in a great price for BO - Julio Dinis * Apartments – rated 9.6 by recent guests! One of our top picks in Porto – and a guest favorite. 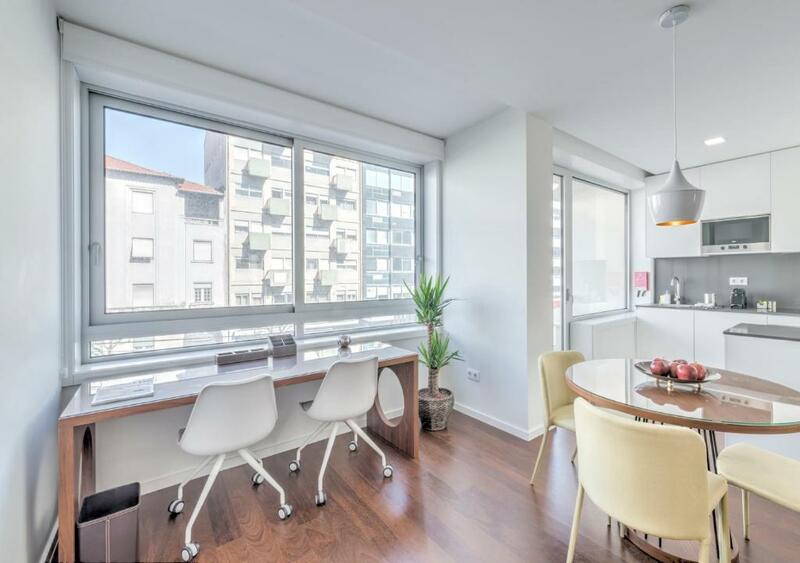 Set in Porto, 350 feet from Bom Sucesso Market and 1,000 feet from Casa da Música, BO - Julio Dinis Apartments offers modern 1 and 2-bedroom apartments with high-speed Internet and a 4G smartphone for guests' use. Offering city views, the air-conditioned apartments feature a modern and sober decor. The living room area includes a sofa, a flat-screen cable TV, DVD player, an exclusive app, and a Bluetooth sound system. 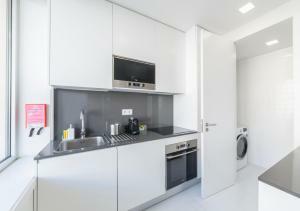 The fully equipped open-plan kitchen is well equipped for cooking and features a washing and dryer machine. The surrounding area is filled with dining options, including Bom Sucesso Market. Guests can walk in 10 minutes to the historic center, and explore the attractions using the app with tour routes and information about attractions. Guests with an electric vehicle can charge it for free in the paid parking garage. BO - Julio Dinis Apartments is located in Porto business area, and Porto old town is easily accessible with the nearby metro station. The nearest airport is Porto Airport, 8.1 mi from BO - Julio Dinis Apartments. When would you like to stay at BO - Julio Dinis * Apartments? 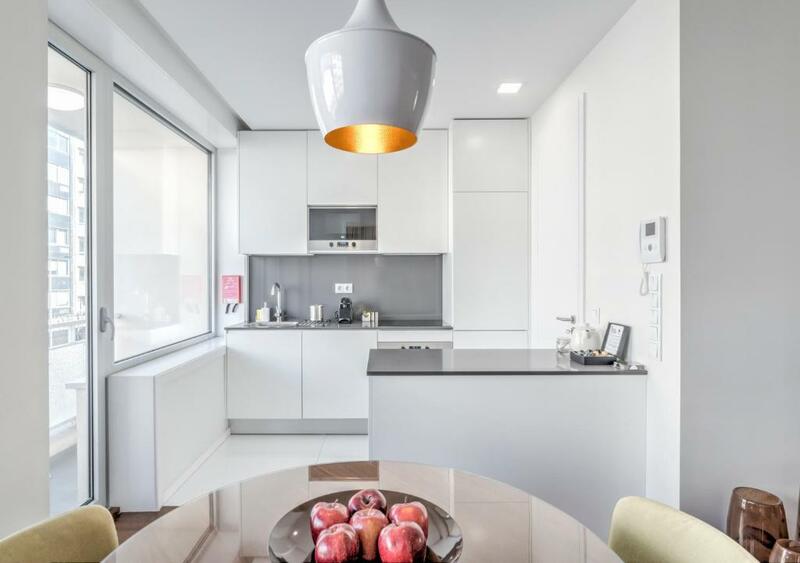 Featuring city views, this air-conditioned apartment presents a sober décor in brown shades, a bedroom with a queen-size bed and a fully equipped open-plan kitchen with a coffee machine. The living room area includes a sofa, a flat-screen cable TV, DVD player, an exclusive app, Bluetooth sound system, and high-speed Internet. The bathroom includes a modern walk-in shower, free toiletries, and a hair dryer. Featuring a balcony with city views, this air-conditioned apartment presents a sober décor in brown shades, a bedroom with a king-size or twin beds and a fully equipped open-plan kitchen with a coffee machine. 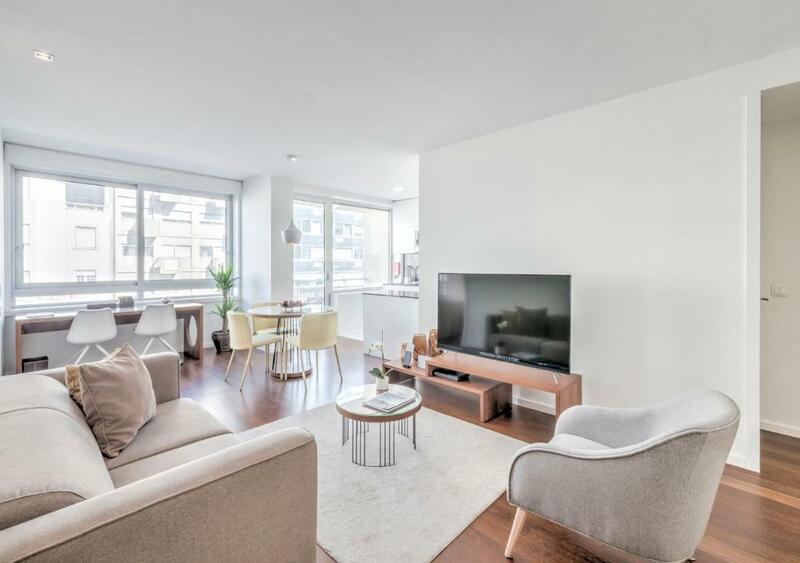 Featuring a balcony with city views, this air-conditioned apartment presents a sober décor in brown shades, a bedroom with a king-size bed and a fully equipped open-plan kitchen with a coffee machine. Featuring a balcony with city views, this air-conditioned apartment presents a sober décor in brown shades, a bedroom with a king-size bed, a single room and a fully equipped open-plan kitchen with a coffee machine. There are 2 bathrooms with a modern walk-in shower, free toiletries, and a hair dryer. 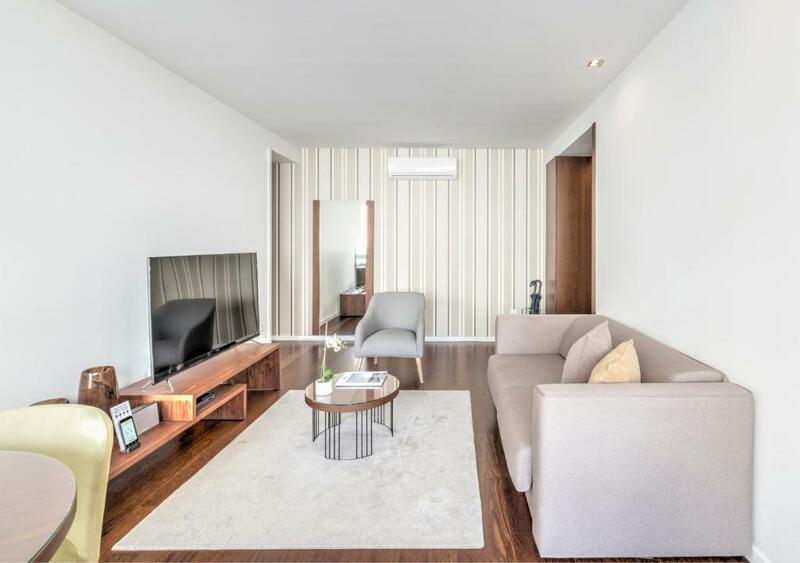 Featuring a balcony with city views, this air-conditioned apartment presents a sober décor in brown shades, a bedroom with a queen-size bed and a fully equipped open-plan kitchen with a coffee machine. 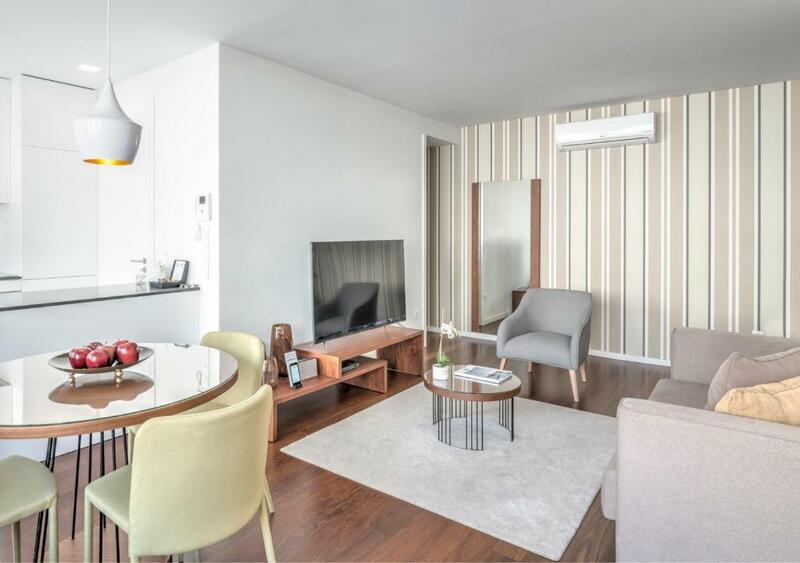 Featuring a balcony with city views, this air-conditioned apartment presents a sober décor in brown shades, a bedroom with a queen-size bed, a single room and a fully equipped open-plan kitchen with a coffee machine. 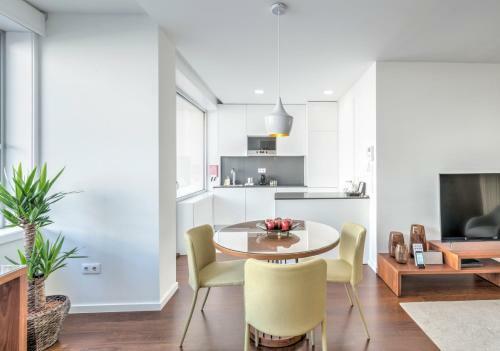 BO - Júlio Dinis Serviced Apartments is the solution of temporary accommodation for families on the move, families with works at home or waiting for the delivery of their property, professionals traveling in the most varied contexts, tourists on long vacations, among others. Affirming itself as the perfect choice for anyone looking for the atmosphere of a home away from home with all the amenities and services. Located in the Boavista area, on Rua Júlio Dinis, it is served by excellent accessibility, close to the main road accesses and the Metro Station of Casa da Música as well as a wide variety of commerce and services, among which we highlight the Market Bom Sucesso and the Peninsular and Port Shopping Centers. One and two bedroom apartments with Serviced Apartments concept for medium / long term stays (up to 30 renewable days). Includes daily maid service except weekends, guest service and concierge service, pay-per-use laundry service, water, light and internet. Our T1 and T2 apartments are fully soundproofed, equipped and decorated with high refinement and comfort, offer a stay with all facilities and amenities for leisure and work. The By Oporto Hospitality Management Group is present in the tourist market since 2012 developing its activity in the management and administration of tourist units. Our commitment to quality in our services has always been our main differentiating factor in the tourist accommodation market, reflecting this effort in the ranking of our units in the main channels of online reservation and in the satisfaction shown by our clients. 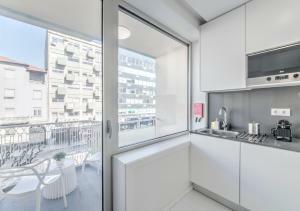 The criterion of the geographical location of our Tourist Accommodation units is a priority in the concept we have developed for this business, so all units are located near the main metro stations (Trindade, Bolhão and Marques), with direct connection to Francisco Sá Carneiro International Airport and of the main arteries of Porto downtown, allowing our guests the opportunity to get to know and experience the daily life of the city's urban and cultural life. When it comes to corporate accommodation, we like to do things differently. ​ When we first dreamed up our serviced apartments, we asked ourselves ‘What do our corporate guests actually want when they travel?’. The answer: An excellent location, a comfy bed, endless free WiFi, the option to cook, eat out or take out, somewhere to do laundry, and a relaxing, comfortable room for chilling out. In short, somewhere that feels like a home away from home. That’s exactly what you can expect when you stay with us. House Rules BO - Julio Dinis * Apartments takes special requests – add in the next step! BO - Julio Dinis * Apartments accepts these cards and reserves the right to temporarily hold an amount prior to arrival. Please inform BO - Julio Dinis * Apartments of your expected arrival time in advance. You can use the Special Requests box when booking, or contact the property directly using the contact details in your confirmation. Very difficult to find when driving. Was a bit far from the historical centre although close to the city sightseeing bus stop. The baddest issue was the amount of homeless people frequenting this area. On our last night there were a number of homeless directly outside the entrance into the apartment which was unsettling. New apartment, quiet and clean. Warehouse of restaurants near by. Location. 30 minute walk into Porto and uphill on way back! Nothing comes to mind what could have been improved. We were really impressed, and liked the overall experience. Upon arrival, the host, Miss Armanda Alves, was waiting for us, and gave us a lot of useful information about Porto. The apartment was amazing. Very spacious, very clean, and had everything we needed, plus more! The location is walking distance to basically everything around. Overall an amazing place to stay when you are planning to visit Porto! Great location. Easy to access public transport, very helpful and informative welcome from the representative. Useful and safe parking. Close to very good restaurants and bars. Easy access to Casa de Musica for evening concerts. The cleaners missed our room one morning. The location was perfect and walking distance from all of the main sites in Porto, while still quiet enough at night. The host was very accommodating and advised us of places to visit. The room had everything for its guests and very nice facilities. I’d definitely return to this apartment!